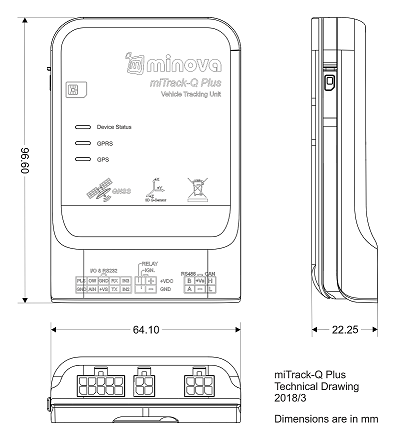 miTrack-Q is a GPRS/2G/GNSS based tracking terminal. Installation is easy and fast with internal GSM and GPS antennas. Alarming battery option against dismantling is available. Measuring driving dynamics and severity (aggressive acceleration, sudden brakes, hard turns, etc.) is possible through standard Motion Sensor. Input/output ports for contact detection and motor blockage are standard. It can detect the status of sensors such as door, hood, tank cover with 3 digital sensor connectable input ports. 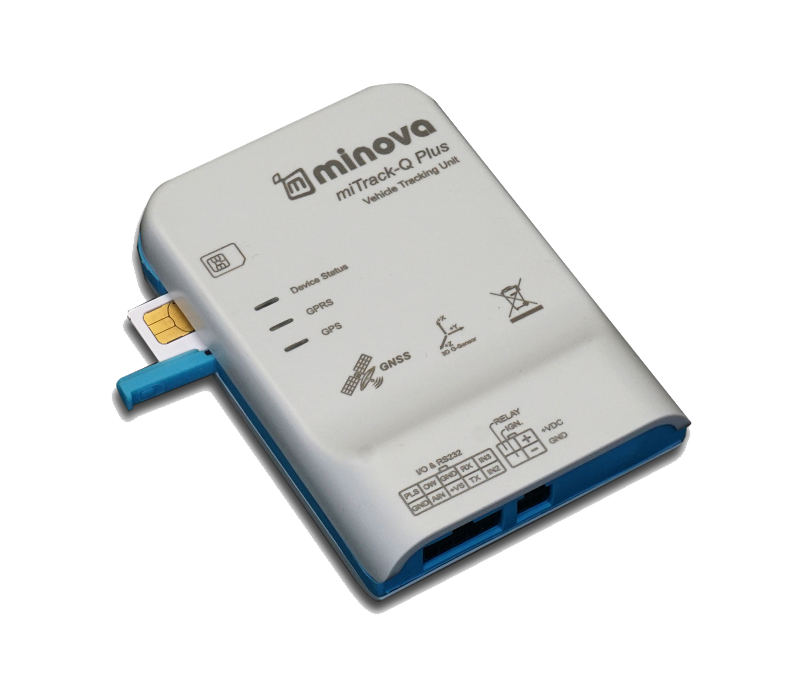 Communication with environmental units through RS232 input is available. 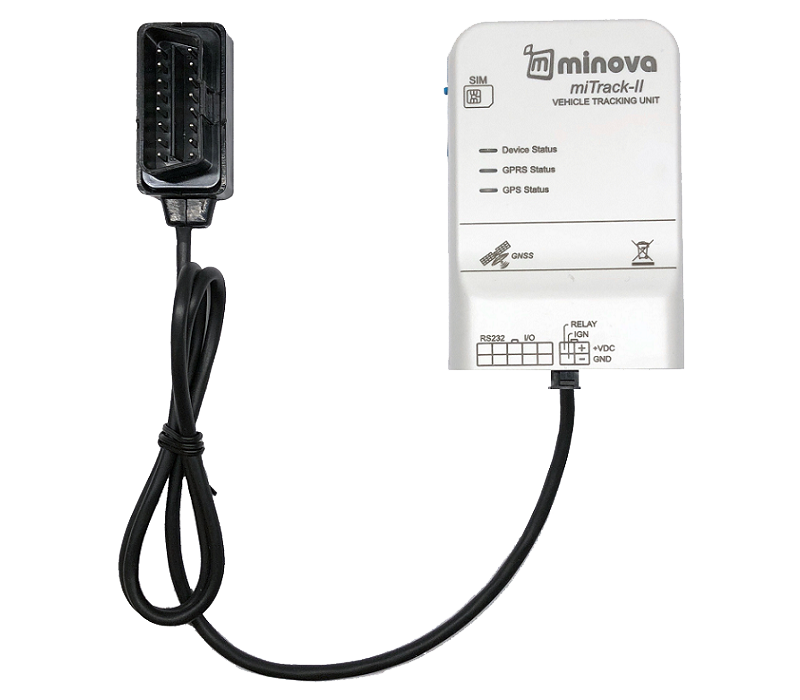 miTrack-Q can be connected to the MCR-ATS Contactless Card Reader, developed by Minova, via a single cable line. Cold Start <35 sec. Hot Start <1 sec.